CHASKA, Minn. — When Davis Love III and the U.S. Ryder Cup team come to Hazeltine at the end of the month, they will be looking to avoid an unprecedented fourth straight defeat to the Europeans. The U.S. has spent two years planning and strategizing in hopes of turning the tide, and Love's first three captain's picks lean heavily on experience as they try to end the skid. Love chose Rickie Fowler, J.B. Holmes and Matt Kuchar on Monday. He has one more pick to make, too. The Americans haven't won since Valhalla in 2008, and they have only one rookie on the current roster while the Europeans will be bringing six newcomers to Minnesota. "Experience is good. We know what to expect. We know how to handle it, how to deal with it," Love said. "We've been there. We're going to learn from our mistakes in the past and build on it." Love didn't surprise many people with his first three picks. Where he goes for the fourth and final spot may be a little more intriguing. Love said there was strong debate and discussion with vice captains Tiger Woods, Tom Lehman, Steve Stricker and Jim Furyk late into the afternoon on Sunday before a consensus was finally reached, and those conversations will only increase before he chooses the final member of the team on Sept. 25 after the Tour Championship. The Ryder Cup begins Sept. 30. Holmes finished 10th in the Ryder Cup standings and called Love last week to tell him how important it was for him to be on the team. Holmes finished tied for fourth at the BMW Championship on Sunday and is one of the few active Americans to have never lost in the event. He went 2-0-1 at Valhalla. "Some of my greatest memories in golf were at the Ryder Cup at Valhalla," Holmes said. "So just really excited to get back in the Ryder Cup format and get out there and play." Fowler started the year with a victory in Abu Dhabi and was rolling at the Phoenix Open before losing a two-shot lead with two holes to play. He also lost the 54-hole lead at Wells Fargo and at Barclays, which prevented him from qualifying for the team on points. Fowler was part of the Ryder Cup Task Force aimed at turning around the Americans' fortunes in the event, but he is 0-3-5 in two previous Ryder Cups, both on European soil. 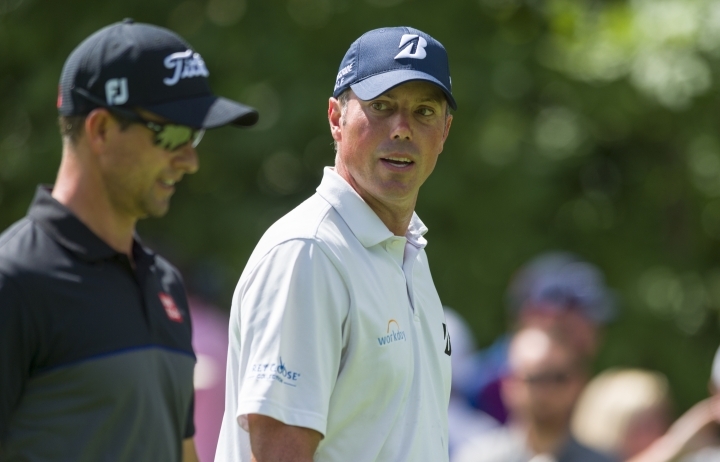 Kuchar was thought of as a favorite for one of the picks given his ability to play with any partner in a team event where chemistry is crucial. He has just one victory in the last two years at the Fiji International, but made a big impression by winning bronze at the Rio Olympics. 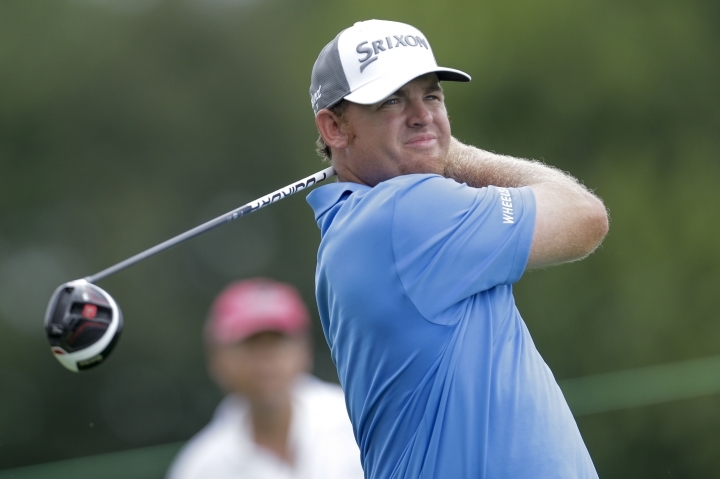 He is 4-5-2 in his Ryder Cup career and has played on three previous American teams. "It stinks for me to be sitting on the outside needing a pick," Kuchar said. "I thought I had a nice year, but not nice enough to qualify on points. Team USA is certainly very strong. To have the picks we've had is fantastic." The three captain's choices join Dustin Johnson, Jordan Spieth, Phil Mickelson, Patrick Reed, Jimmy Walker, Brooks Koepka, Brandt Snedeker and Zach Johnson, who qualified in the final standings for the Americans. Left off the initial round of captain's picks was Bubba Watson, currently ranked No. 7 in the world. He won at Riviera, but hasn't won a singles match in three Ryder Cups. Furyk was also passed over despite finishing tied for fifth and shooting 58 at the Travelers Championship. He did not make it to the BMW Championship, but he lost four months of the season to wrist surgery and only started playing in May. Other candidates include second-year pros Daniel Berger and Justin Thomas. Berger won at Memphis and Thomas won the CIMB Classic in Malaysia last fall, but the task force decided not to start counting points until 2016. "We're a sports team and we have to draft the right player for the right position," Love said. "There's going to be a lot of stats and a lot of things to look at. But making our pairings, fitting into the team, doing all the little things you're asked to do, these three guys fill incredible roles and a lot of different roles." Kuchar said he had heard "rumors" of another candidate. "That last pick is going to be quite amazing. I don't envy Davis's position. So it's a tough job. But gosh, imagine that, Tiger Woods playing for Team USA, being a captain," Kuchar deadpanned. "That would be incredible." "I was originally going to go with me and my son Drew and Tiger," Love quipped. "But none of us have shown any form coming off of injuries."